The growing popularity of Internet-enabled mobile devices has a very strong impact on turning the scenario of business, with more and more people using mobiles in comparison to traditional PCs. This sudden transformation has made all businesses to have a mobile-friendly site that can easily interact with their target audience and serve as one of the most effective marketing tools. Long story short- that is exactly what we do! 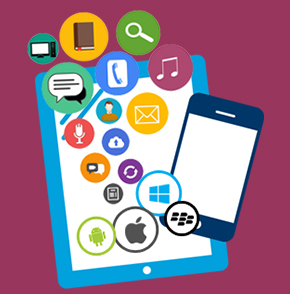 NetJungle Media - Mobile Application Development Company India, being in the digital scenario from a long time understands different web technologies and excels as a leading mobile application development company in Delhi NCR. Our team works hard to create valuable digital assets for clients from all over the world, specifically customized to meet the objectives of your business. By hiring our Mobile web development team, you ensure that your website is designed and developed by some of the best professionals in the industry possessing excellent expertise in their domains. Our design and development process comprises different stages, each step ensures that you get top quality and value. We as leading mobile apps development in India ensures that you get a design which not only looks exceptional but customized to support your short and long-term business objectives. Do a detailed in-depth analysis to understand your business, target audience, and all the other important factors. Focusing on the objectives of your mobile application to ensure the final product is delivered on the mentioned parameters. Based on the results of the previous two phases, we will keep you updated. Implementing alpha and beta testing to ensure excellent performance of your mobile app and working on the areas of concern. After quick rounds of testing, we deliver the product which ensures excellent performance and impeccable user experience.